TAKE5 gives you an update on the latest Meetings, Incentives and Business Travel related news. It contains short and to the point information on venues, people, happenings, lifestyle and general news that cannot wait to be told! BBT Online guarantees you 15 new ideas in just 3 minutes. Enjoy our 72nd edition. 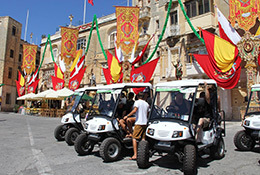 Discover Malta in a ‘Rolling Geek’! Malta presents a fun new concept. Rolling Geeks are not Star Wars fans on roller blades, but little electric powered cars, very easy to drive, complete with pre-programmed GPS showing you where to go and what to look at when you’re there. In just 2.5 hours for only 75 euro you can see 3 of the richest historical cities in Malta, discovering areas you just couldn’t manage in a whole day on foot. Ten cars are available, so the activity is suitable for smaller groups as well (max. 4 people per car). 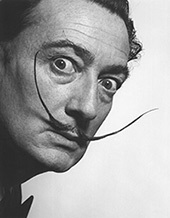 On the first of December, TEDxBrussels sets up camp in Bozar. Get ready for a full day of interesting presentations by extraordinary Valley entrepreneurs and by insightful European minds. They will bring a unique perspective on the topics of space exploration, big data, genetics, drones, healthcare and everything digital. 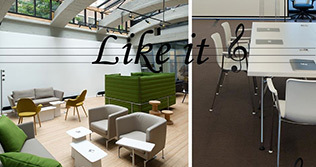 The L42 Business Center is a new venue in central Brussels, dedicated to business and communication, meetings and events. It comes with office space, several meeting rooms with natural daylight and event space for up to 250 people. It also boasts a rooftop terrace offering nice views over Brussels. It’s located – so that’s what the weird name is about – at 42, Rue de la Loi, right next to the Arts-Loi metro station and a short walk from Parc de Bruxelles. Ever wanted to control your own robot? Of course you did. 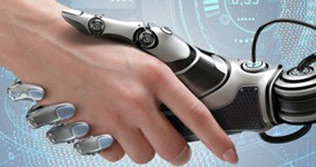 Contacta.nl 2014 (4-6 November) now includes the ‘Robot Centre’ where you can do just that. In the centre, visitors can discover the latest and most exciting developments in the world of robotics. Theme of the whole fair this year is ‘The New World’: combining a look at the future with info on new markets and new ways of doing business. Interested? Find out more here: www.contacta.nl/contacta-2014. Our very own Jonathan Ramael won the Graubünden Press Award for Best Young Travel Journalist in Belgium & The Netherlands – against stiff competition might we add. Congratulations! We’re very proud to have you in our team, Jonathan! 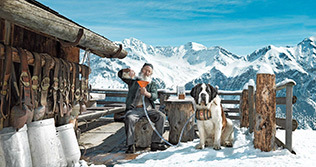 His winning article on Arosa & Lenzerheide can be read here. Young journalists looking to participate will have to wait until 2016, when the next edition is due. For the third consecutive year, Visit Brussels organises the European Association Summit (on 5, 6 and 7 May). Building on the success of the first two years, EAS is looking forward to introduce a ‘call for presentations’ in 2015. The idea will be to offer international association executives the chance to put their success stories and original and innovative ideas under the spotlight and to boost the number of people involved. International association executives who would like to share their stories, challenges and achievements are invited to submit a summary of their presentation, click here. Brussels saw the opening of a couple of interesting new hotels. 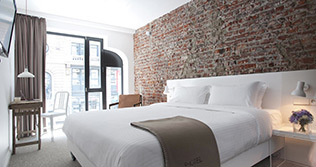 9Hotel Central is a venue with a weird name but a superb location: in the Rue des Colonies between the Grand-Place and the Royal Palace. Behind its historic façade, the place was designed by the Catalan Castel Veciana Studio, making for a casual atmosphere full of designer furniture as well as lots of antiques, wood and brick walls. The venue comes with 47 spacious rooms with views over the nearby buildings, giving it a lofty feel. Hôtel des Galleries is another new venue opening up in the capital, and this one couldn’t be more central. At the corner of the Gallerie du Roi and the famous Rue des Bouchers, this boutique hotel actually located in the Gallery, is a classified monument. 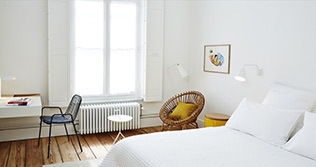 Designed by Fleur Delesalle and Camille Flammarion, the hotel offers 23 rooms and suites on four floors, some of them giving out on the gallery halls. The rooms are designed with lots of wood, ceramics and unique furniture from the Sablon district. Sleep in a (fancy) box! Let’s say it’s nice outside and you want to organise a two day outdoor teambuilding event. Very well, but where will everybody sleep? Why in a box of course – a Sleepboxx that is! The Sleepboxx trailer offers comfortable space to spend the night wherever there is no sufficient accommodation. 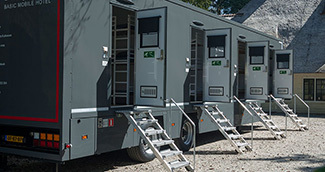 The trailer can house a maximum of 24 people. Rental price for the whole thing? Just €299. You couldn’t even buy a decent tent with that money. To hotel or not hotel? Yes, Ikea is now a hotel owner. The first Moxy-hotel (what’s in a name) opened shop in Milan and is a joint venture between the furniture giant and Marriot. The target audience is clear: millennials who want comfort and technology but no excessive luxury. 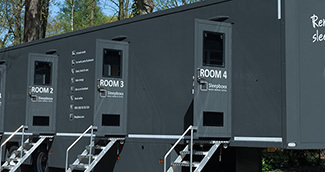 The rooms are prefab units, enabling the construction of a 300 room venue in just six months. Don’t worry, you don’t have to assemble your own bed. The furniture in the rooms was designed by Ikea, but isn’t available in their stores. 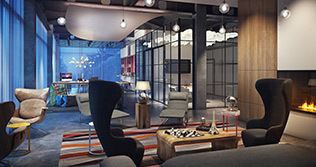 Following Moxy Hotels will open soon: Munchen, Berlin, Frankfurt, London and Oslo. Hotel Not Hotel in central Amsterdam ‘is a place where a room isn’t just a room, but a work of art with its own creator, story, and identity.’ Most of the rooms were specially thought out by Collaboration-O, a group of young designers that originated from the Eindhoven Design Academy. The entire venue feels like a big living space with cosy seating areas between the rooms. Sounds like a nice place to stay for people looking for something different. The hotel caters to event organisers as well, and takes group reservations, giving you the option to completely privatise the venue. Virgin’s Richard Branson seems to be annoyed by the hospitality industry. Since he’s rich and a bit crazy, he decided to do something about it in a way few other people on this planet could. He simply thought out his own hotel chain, with the first venue opening in Chicago this December. “Dear hospitality, consider this your wake-up call” he tweeted afterwards. And that’s that. 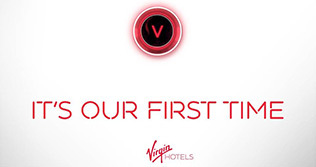 Check out this fun commercial explaining the Virgin hotel concept, while simultaneously making fun of some of the mayor nuisances in other hotels, click here. 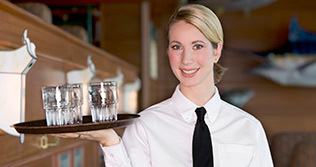 The Federation of International Employers released a statement calling out the hospitality industry. They state business hotels often call their customers ‘guests’ without realising the implications of their own role as ‘hosts’. What most hotels don’t realise is that the experience they give their guests is too often closer to boredom than relaxation or luxury. Many business travellers check in alone and spend their nights in virtual isolation during their time at the hotel. Few hotels ensure that guests are given an opportunity to meet and be entertained by more than the mini-grand piano in the corner of the bar. Read the full statement here. Great news for foodies! 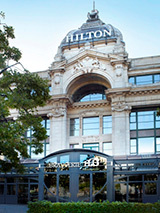 During a well-attended event, Hilton Antwerp saw the opening of Brasserie FLO – first of its kind in the country. FLO is a unique French food concept with branches all over Europe. What’s special about it? The Omani Ministry of Tourism – represented by Glenaki – introduced its latest landmark project to the Belgian Press – firmly targeting the MICE market. 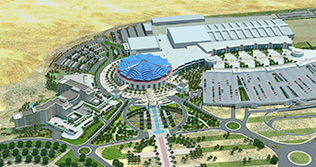 Aimed at becoming the leading congress venue in the Gulf, the new Oman Convention & Exhibition Centre (due for completion in 2016) is a project of epic proportions. Designed by a domestic architect, it offers 1,000 hotel rooms, a 3,200 seat auditorium, two ballrooms for up to 2,360 people and no less than 22,000 m² of column-free exhibition space. Most of the halls will give out on the sea of Oman. To accommodate events of this magnitude, the international airport of Muscat will be upgraded to three times its current capacity and the capital will have 10,000 hotel rooms by 2018. 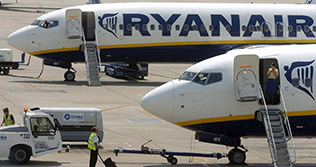 The European Commission – after a legal battle lasting years – decided Ryanair was in the right concerning the conflict around Brussels South Charleroi Airport. The Irish carrier acted in accordance to the ‘investment principle of the market economy’ and doesn’t have to pay a single dime back. The conflict started in 2001, when Brussels Airport accused the Walloon government of subsidizing Ryanair, causing unfair competition. The European commission agreed with Zaventem in 2004, but the European Court of Justice ordered the Commission to re-examine the matter four years later. Now, after another six years, Ryanair was finally vindicated. BBT Online organises two new Speed-Date Workshops in 2015 – introducing a new selection of destinations and venues to Belgium’s top planners. The first workshop takes place on 12 January – the perfect moment to celebrate the new year with colleagues and friends. The second one is planned for 31 August, right after a hopefully revitalising holiday period. Venues and programmes will be announced soon, but if you know us by now, you know they’ll be special. Want to attend our workshops as a planner, or want to showcase your product to the finest MICE professionals Belgium has to offer? Send us a mail at info@bbtonline.eu. Looking for an easy and complete way to renew your ties with Spain? Want to discover new regions and destinations in a fun and personal fashion? Join us at the Spain MICE Workshop in Brussels! The Spanish Tourism Board invite you to an evening full of activities, surprises and cultural delights! Have one-on-one talks with delegates from no less than 18 Spanish convention bureaus and enjoy their typical local delicacies! Good news for all you princesses out there! 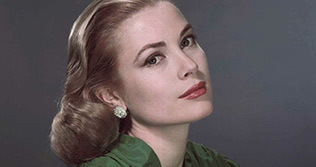 Due to overwhelming success, Paleis Het Loo in Apeldoorn (The Netherlands) extends its exhibition on Grace Kelly. You have until 4 January to visit an impressive collection of clothing, accessories, images and videos documenting the rollercoaster life of what probably was the most beautiful of all royals. We just received this magnificent footage sent to us by the Croatian Tourist Board. 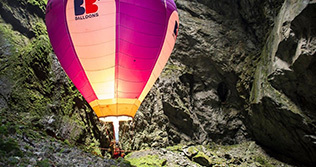 They filmed the first hot air balloon flight… in an underground cave! Jules Vern’s stories were never closer to reality. • 24-27 October, Dublin: Bram Stoker Festival. Celebrate Halloween in the place where it was born. Vampires, zombies, Shane MacGowan and other Irish ghouls roam the streets, but there are also parties, movies and concerts to enjoy. As is ‘blood food cookery’, whatever that may be. More info on: www.bramstokerfestival.com. • 3-6 November, London: World Travel Market. WTM is one of the leading global events for the travel industry, showcasing a diverse range of destinations and industry sectors to UK and international travel professionals. Register here: www.wtmlondon.com. • 13-16 November, Thessaloniki: Philoxenia. The largest MICE fair for Greece and the Balkans celebrates its 30th edition this year. A perfect opportunity to attend. More info here: http://philoxenia.helexpo.gr/. • 14 November, Rotterdam: Oyster & Wine tasting. Like oysters? Love wine? This is the event for you! Together with the Wine Institute, Oestercompagnie organises an evening to get more familiar with both products in style. Interested? Click here: www.oestercompagnie.nl/#!/oester-wijnproeverij. • 14-17 November, Rotterdam: Site Global Conference 2014. The Site Global Conference will gather over 300 professionals from the global incentive travel industry – the “I” in MICE – to build their business networks and take part in valuable educational activities. Register here: www.siteglobal.com/p/cm/ld/fid=358. • 26-27 November, Antwerp: Festivak 2014. 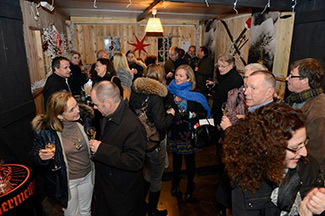 Festivak is probably the most important fair for the Benelux event industry. Meet suppliers able to lift your event to a higher level or visit one of the many seminars to get some inspiration. Entrance is completely free. More info on: www.festivak.be. • 1-3 December, Copenhagen: MINDevent 2014. Meeting Incentive Networking Denmark (M.I.N.D. : nice catch!) combines education with site inspections and creative sessions, international networking and knowledge sharing. In addition, you’ll get an outstanding opportunity to experience wonderful Copenhagen at Christmas time, which is always nice. We’ll be there, will you? Register here. • 26-28 February, Istanbul: ACE of MICE Exhibition. Visit Europe’s biggest city and discover the growing Turkish MICE Market on this fair attracting over 300 exhibitors and 800 hosted buyers. Register here. • Join BBT Online as a hosted buyer to IT&CM China 2015! As always organised in splendid Shanghai, IT&CM China is one of the leading international MICE events in the country, opening up the Asian market for foreign buyers. Getting hosted comes with free flights, accommodation, dinners and pre-tours. Interested? Send a mail to jonathan@bbtonline.eu. 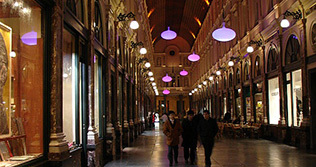 • Planning a meeting or event in Brussels, but afraid you might get lost in the European Capital? This PDF-guide by Brussels Special Venues stuffed everything you need to know on three little pages: from getting there, taking a cab and finding the sights to selecting the most special venues. 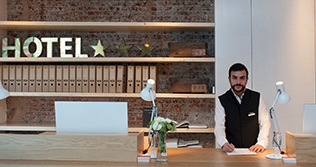 www.venues.be/blog/wp-content/uploads/2014/09/Brussels-site-visit-made-easy-by-BSV-1.pdf. • Recently, a new newsletter was launched specifically for the MPI community within Europe. The ‘MPI in Europe’ newsletter connects you to the latest industry information, trends and knowledge, and above all allows you to connect with others. You can sign up to receive the newsletter directly into your inbox or you can choose to follow the latest news updates on europe.mpiweb.org or @MPIinEurope. • The Global Business Travel Association (GBTA) issued its quarterly report on US business travel, finding that US-originated business travel spending increased more than 7% year-over-year to $72.8 billion in 2014 2Q. According to GBTA’s BTI Outlook, business travellers are spending more per trip, indicating a strengthening economy. This holds true for both individual and group business travel, where spending is expected to disproportionately increase over volume. • Because of a new law, Belgian companies are now obliged to take measures to reduce psychosocial risks at work: this includes bullying and sexual intimidation but also stress and burn-outs. The Start to Relax programme wants to lend a hand, and caters to companies that aim for stress prevention. More info: http://relaxcompany.be/start-to-relax-in-uw-bedrijf/. 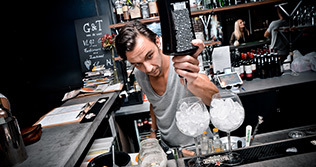 • Aspen Bocadero is Antwerp’s newest winter bar. This decorated and heated tent at Waagnatie comes with a restaurant and aims to resemble the fancy ski resort with the same name. Special formulas for groups are available from 18 December until 25 January. More info via events@bocadero.be. • The Brussels Capital Region acquired its own internet extension: ‘.brussels’. In their words, it ‘enables the Region to adopt a new and strong image, based on a multilingual trademark tailored to all international and regional stakeholders.’ It also makes for a nice play on words: www.be.brussels.be Brussels everyone! • Ryanair now offers new Business Plus seats starting from € 69,99. The price includes premium seats, a flexible ticket, a checked-in bag and use of the security fast lane. Or as they like to put it: “a business class ticket your boss will certainly approve”. We’ll see about that, Ryanair. • Your days of getting lost in airports might be numbered – who gets lost in airports anyway, just follow the signs! KLM introduces a route planner for passengers transferring at Schiphol. On arrival, travellers receive an airport map on their smartphone, showing the most convenient way to their next gate and the time it will take for them to get there. The app works with beacon technology, and tracks the passenger as he makes his way. • E-lostbag is a Swiss developed luggage label that – after registering your suitcase with it via www.e-lostbag.com/fr before departure – allows it to be tracked, identified and returned to sender upon losing it. • Low cost carrier Ryanair is considering the possibility of flying to Amsterdam next year. Talks with the airport are supposedly underway. Commercial Director Kenny Jacobs says he hopes flights could leave from Schiphol as early as 2015. • A new hotel- and seminar centre is being built in the Walloon holiday & recreation centre Les Lacs de l’Eau d’Heure – one of the biggest tourist hotspots in the region. The new hotel will further improve the already existing infrastructure. • German hotel chain Maritim will build a gigantic new congress hotel along the IJ in Amsterdam, next to the A’dam Tower. The four star venue (52.000 m² of surface space) will offer no less than 600 rooms and halls for more than 5.000 congress visitors. The biggest conference space will be able to hold 2.300 people. It will instantly become one of the largest conference hotels in Europe as well as Maritim Hotel’s worldwide flagship venue. • According to the July-August numbers, Brussels is doing pretty well as a tourist destination. The average occupancy rate of hotels in the capital was 73% this summer, a growth of 6% compared to last year. Not bad, Brussels, not bad at all! • Let’s say you want to get rid of your horrible husband or wife without actually shooting them in the face? Why not book a nice room in www.divorcehotel.com, and 48 hours later you’ll never ever have to see your insignificant other again. The booking comes with two separate rooms and someone helping you through all the official paperwork. What’s $ 5.000 compared to a life of hatred, frustration and regret, am I right? • Blasphemy! Hilton sold its famous New York Waldorf Astoria to China – for the measly sum of only 1.95 billion dollars. That’s just 1.38 million per room! You got screwed there, Hilton! According to the deal, the American chain will still manage the venue for the next 100 years. So essentially nothing will change on the surface. • Once upon a time in a land far far away… (just now in Holland, actually), de Efteling started construction on the expansion of its holiday park Efteling Bosrijk. The project includes fancy new group accommodation in what’s essentially the park’s back yard. Business infrastructure already present will be updated and expanded as well. • Hurray! It’s officially alright to be obnoxious in planes again. The EU ruled that European airliners can now decide for themselves whether or not passengers are allowed to use their phones and tablets during flights. They no longer demand to put them on airplane mode after take-off. • Steigenberger Grandhotel Brussels appointed Claude Rath as its new General Manager. He offers more than 30 years of experience working at several prestigious venues.